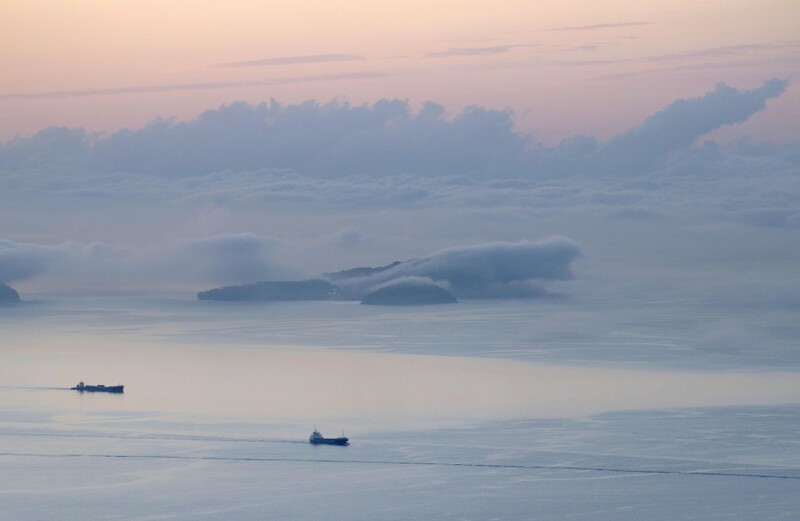 As the soft golden sun peeked through the pale blue sky, a sea of fluffy white clouds spread over small islands on a spring morning in the tranquil Seto Inland Sea in western Japan. 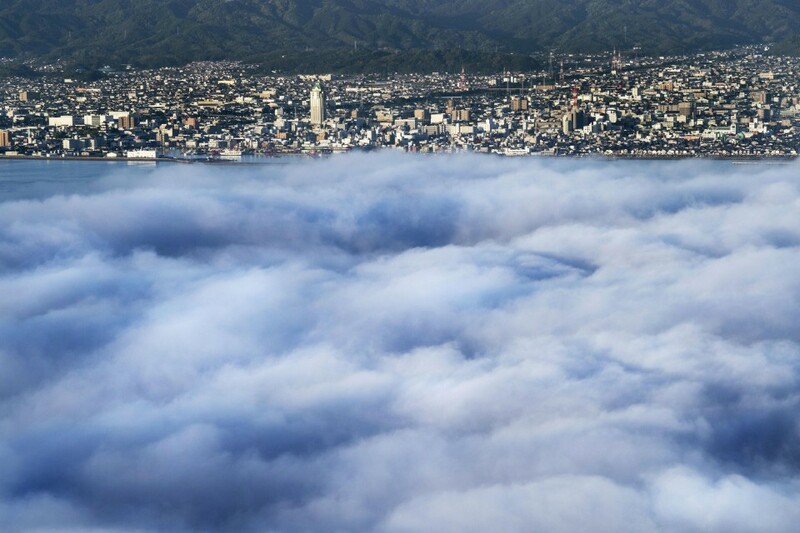 It all starts as fog at the foot of the 308-meter tall Mt. 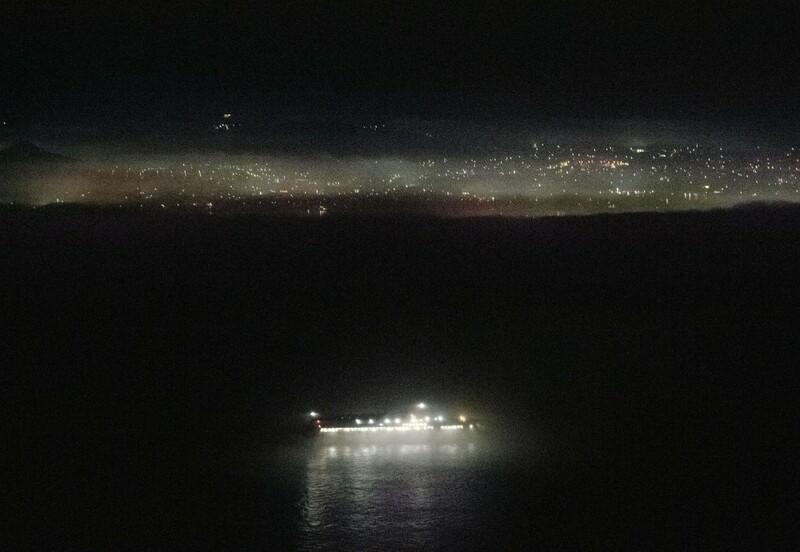 Kiro in Imabari, Ehime Prefecture, before sunrise. 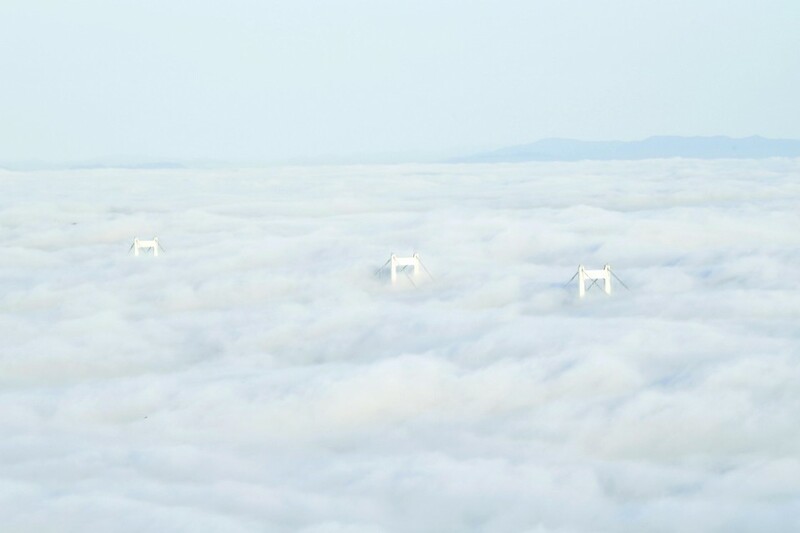 Gradually, the sea of clouds spreads to envelop everything in a magnificent sea of whiteness, including the Kurushima Kaikyo Bridge that stands about 180 m above sea level. At the Kurushima Strait, the phenomenon known as "unkai" in Japanese is formed when warm, moist air flows over the cool waters. It can be observed at the Seto Inland Sea especially during springtime when there is a large difference between air and water temperatures. A 70-year-old man who has been photographing the spectacle for over 20 years said, "The most amazing thing is that (the view) is different every single time." 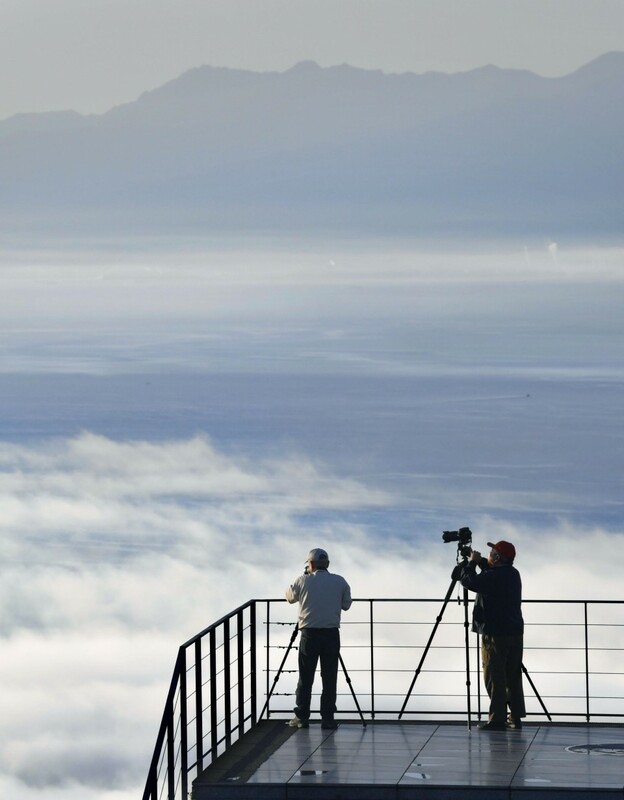 The sea of clouds can be enjoyed until around July, local tourism officials said.